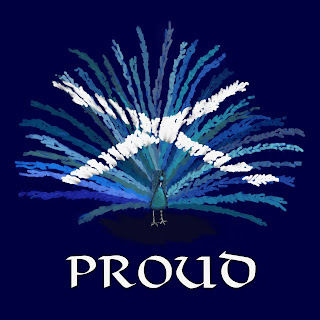 Ah, St Andrew's Day. Beloved and celebrated in Scotland and the world over not nearly as much as Burns Night is but nonetheless worthy of a bit of a music and drink filled celebration in my book. As is any other Saints Day, or any day that has a y in it for that matter. St Andrew is claimed by Scotland, who have the crux decussata (or saltire) upon which he was allegedly martyred as part of their flag (yes, that's why it's a diagonal cross). But he's also the patron saint of Barbados, Georgia, Ukraine, Russia, Sicily, Cyprus, Romania, Spain and many other countries, as well as being the patron saint of fishermen, fishmongers and rope-makers, textile workers, singers, miners, pregnant women, butchers and farm workers and offering protection against sore throats, convulsions, fever, whooping cough and the occult. Phew!